The Bourbon Cataratas Convention and Spa Resort – Iguazu Falls – Brazil is strategically located with respect to the main tourist sites in the city of Iguazu on the Rodovia das Cataratas. In addition to being located close to the Falls, you can also visit Itaipu Dam which is the world’s largest power station. Other attractions include rafting tours, visiting the Bird Park, and seeing the Jesuits’ ruins on both the Brazilian and Argentinean sides of the border from this conveniently located hotel. The Bourbon Cataratas Convention and Spa Resort – Iguazu Falls – Brazil offers 311 rooms and suites with central heat and air conditioning, cable TV, mini bar, and a free private safe. For your entertainment, the Resort is equipped with an international restaurant, brasserie, an Italian Restaurant, two bars, one of which is located next to the swimming pool. There is complete infrastructure for leisure at the hotel, with swimming pools, an interactive aquatic playground, nature trail, game room, kid’s club, tennis court, athletic court, soccer field, running track with instructors, physical therapy club with sauna (dry and steam), showers, whirlpool, massage, and an exercise room. The Business center is equipped with computers, quick internet access, photocopier, fax, and a secretary, adding to the completeness of the infrastructure. With a pleasant temperature all year round, Iguazu Falls offers attractions that go beyond the Brazilian border. The region has several options such as ecological tourism, adventure, shopping, leisure activities, and great nightlife. It even offers the possibility of visiting casinos, due to its strategic location, on the border with two countries – Argentina and Paraguay. The Bourbon Cataratas Convention & Spa Resort offers complete infrastructure for sports and recreation for all ages. 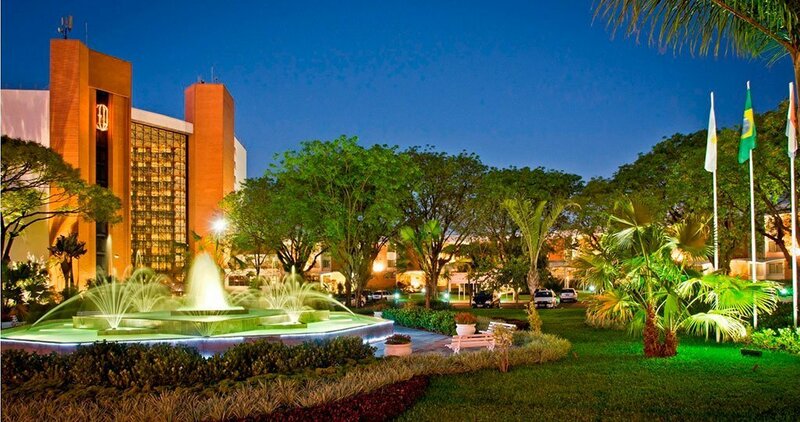 The Bourbon Cataratas Convention and Spa Resort has 311 spacious and comfortable rooms for your stay in Foz do Iguaçu. The resort offers options combined rooms, hypoallergenic, guests with special needs and non-smokers.